If you’re looking for the most effective method to reduce reverberation and noise in your office or commercial space, then nothing comes better that sound baffles. Acoustic solutions which can be mounted up in the ceiling, sound baffles have both their sides exposed in the area and as a result they offer superior acoustic performance in the setting. And if you’re looking to bring sound baffles in your commercial or residential area, then have a look at our wide, exclusive range of CSI acoustic sound baffles. From curved accent products to cylindrical ones, we have a large collection of ceiling sound baffles which offers chic design and excellent sound absorption across all frequencies. Baffles which can be easily installed using a wall-to-wall or on ceilings, these stylish yet effective ceiling sound baffles will allow you to be trendy and at the same time bring effective noise reduction to the setting. 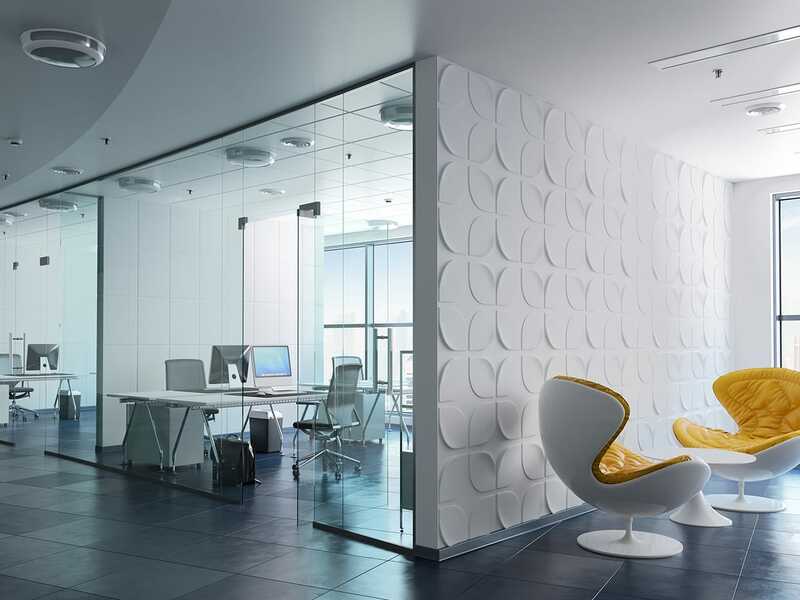 Excellent sound control, cutting-edge visual aesthetics and maximum flexibility are some of the features which make CSI ceiling sound baffles one of the best acoustic solutions. Available in a range of colors, styles, sizes, patterns, finishes, thickness and noise reduction coefficient (NRC) ratings, we have acoustic baffles which are effective sound control solutions and architecturally decorative. Perfect for installation in residential spaces and commercial spaces including schools, theatres, offices, hospitality spaces, retail, airports, studios, gyms, swimming pools, auditoriums, healthcare facilities, places of worship, conference rooms and others, these acoustic baffles work well in any space and are some of the most aesthetically innovative acoustic products around. Crafted from premium quality materials, our CSI ceiling sound baffles have a highly clean and modern look and will bring an effective acoustic performance to the setting. Easy to use, clean and maintain, our sound absorbers are lightweight, durable, free of harmful substances and chemical irritants and will give your space a highly exceptional acoustic performance. One of the most effective solutions where you need to allow natural light or where your room space needs to support other services, our sound baffles are high performance products can also create stunning visual effects in the setting.